Okay, are we ready to finally talk about having a personal trainer? So I did three things: I canceled my membership at the popular gym that was making me feel more intimidated than motivated, and took a breather. And in the same breath, I signed up for personal training again. 1. I love working with someone else in the gym who actually knows what they are doing. This is a big one. I want someone who is not just a cheerleader, not just counting reps, and not just making sure I show up. That's easy. That's the work of a friend. I want someone who can plan a workout that is going to challenge me. And, I want someone that is trained to do all of this. Who went to school, who got certified, who knows what to look for, and how to recognize injury, progression, and ways to keep me challenged. 2. This is where I see results. Truly, the work that I put in pre-Miss Vermont, absolutely changed my body. It changed how I lift, what I lift, and I gained muscle mass and definition all over my body. Cardio works for me. It works fast, and it works well. This is what I did pre-Miss New Hampshire, cardio cardio cardio. And sure, I dropped some weight. But nothing - Bikini Body Guide, a personalized program from Ashley Nordman, Pinterest "booty busting/ab blasting/15 minute burn" workouts - nothing has done for my body what personal training has done. 3. It is absolutely always a challenge. It doesn't get easier, because there is someone by your side making sure that every workout is different, and every time you hit a new threshold of strength, you are challenged again and again. 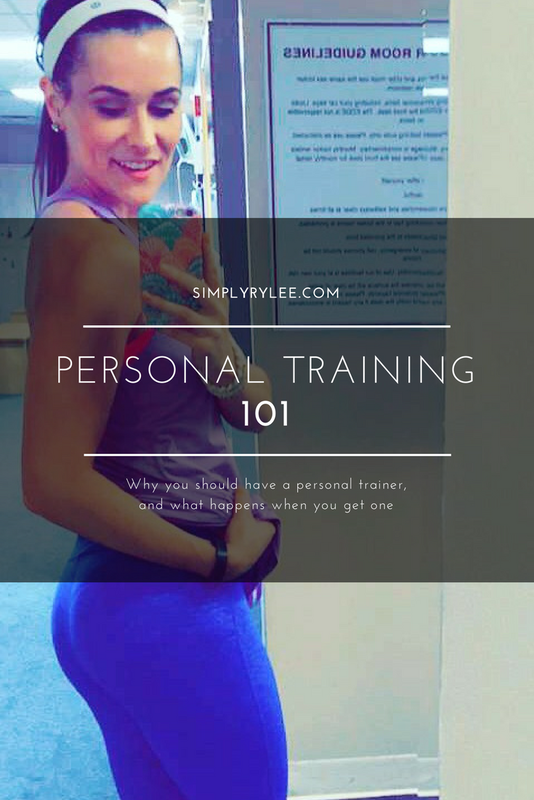 I have never once left a personal training session thinking that it was easy or familiar. 4. No, I am not competing for USA in November. Although, sure, that would be a good motivator as I am very not stage ready. Now, these are just my reasons. Plenty of people use personal training to learn how to properly lift, or to keep a set gym schedule, or to try something totally out of their comfort zone. Can't you get this somewhere else for cheaper? No. Anyone that tells you any differently hasn't actually used a personal trainer. Personal training while, yes, pricier, than the other options I have tried, just does not translate like that. The reality is if you want to learn, if you want to be safe, if you want someone who is educated you need an actual personal trainer. So if you're thinking about branching out (totally recommend) please please please find someone who has gone through training themselves. And ask questions! Figure out their style, their specialty, and what they can help you with. Know your goals! Maybe you want to lift heavier, or maybe you want to run a half marathon. But maybe most importantly, commit to it. I happen to one of those people who operates under the notion that if I'm paying for it, I'm making the most of it. But if that's not you, make sure you establish with yourself, how it is that you plan on staying committed, even when you don't want to. But if this is something you have ever considered - take it from me, who is struggling in almost every aspect of her life right now - but is thriving within a new gym, and new personal training setup, try something new. Make a change. Explore personal trainers for get from Konsort. It is a community which provides services to those who seek and through this one can make money also. All you need to do is be a member of that community. Visit the website to learn more. Excellent fitness blog post. The personal trainer can help you to remain fit and healthy. You can visit Personal Trainer which provide Personal Training in Wien at the best price. Thanks for sharing this blog post with us. I visited your blog for the first time and just been your fan about thi Hormone Replacement Therapy Tampa Bay topic. I Will be back often to check up on new stuff you post!